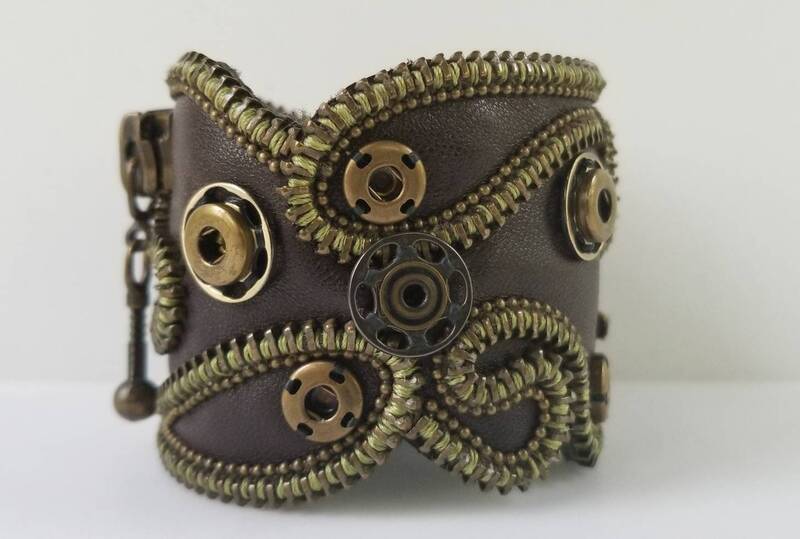 Unique Brown Repurposed Leather Cuff. 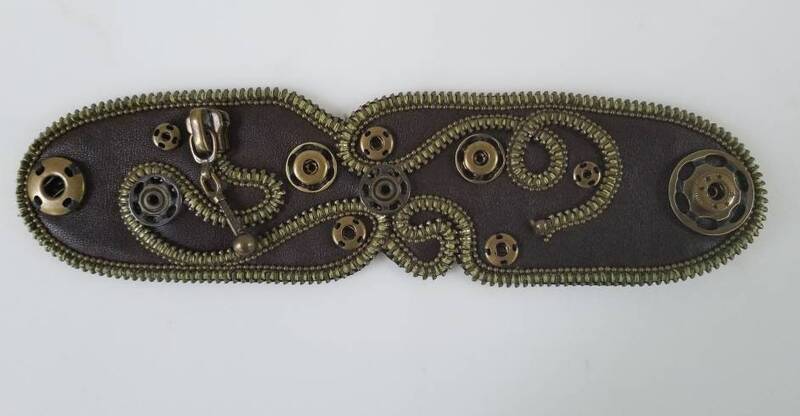 This cuff is 2 1/4 wide and it fits wrist size 6" 1/2 . Zipper on very soft brown leather. This cuff is 100% genuine leather. It can be ordered in a different size and color with the understanding that it will not look exactly the same. 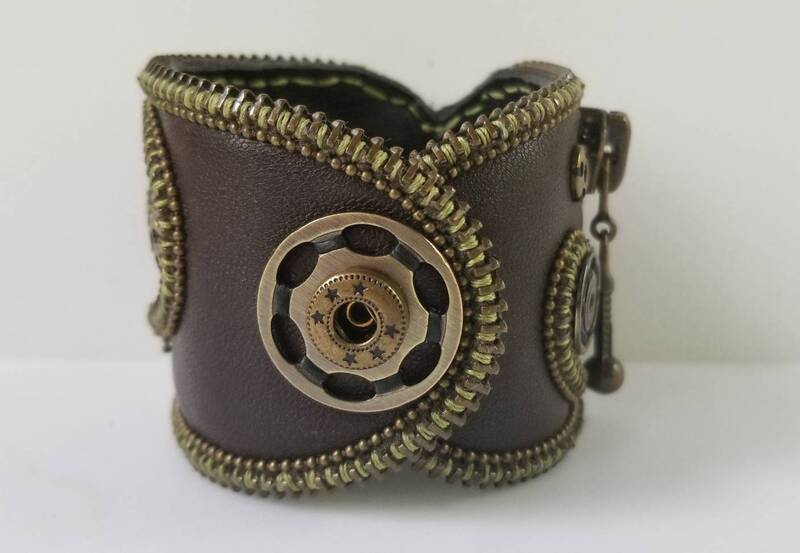 Each cuff takes an average of 20 hours to make.